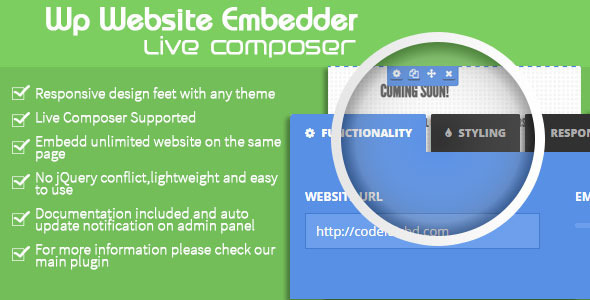 This extension is built for live composer support with our WP Website Embedder plugin. For more information please check our plugin page. Embed any website into your WordPress post,page or anywhere using live composer. WP Website Embedder provide you unlimited website to embed in the same page,post or anywhere on your site.